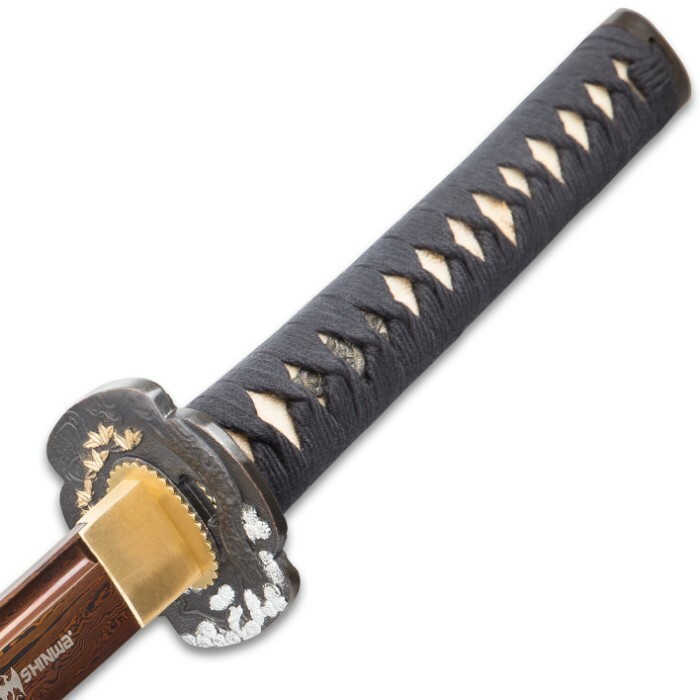 Hand forged of genuine high-carbon Damascus steel, this Ten Ryu katana offers a massive 26.5" copper-tone blade with a heavy blood groove and hand-sharpened edge that will slice with ninja precision. 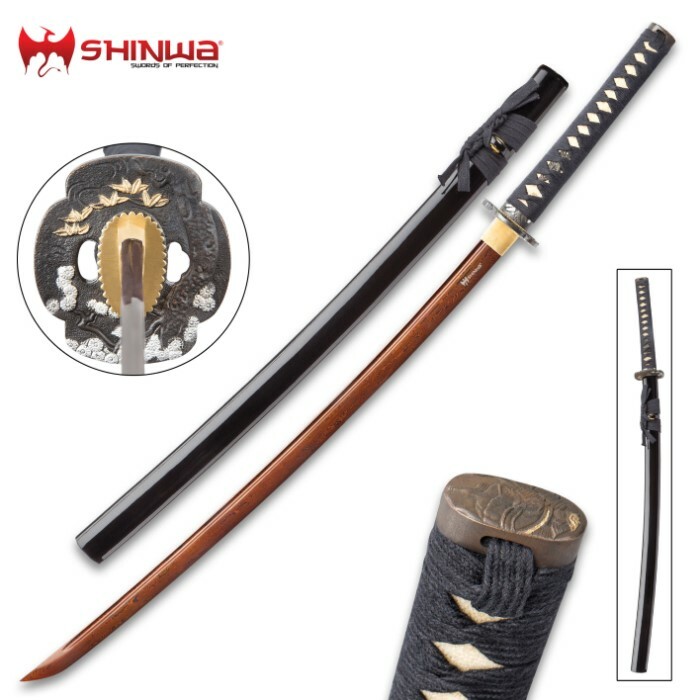 Stylish embellishments such as the cast zinc alloy tsuba, brass accents, genuine ray skin handle and regal cord wrappings add tons of authenticity to this dramatic, fully functional collectible sword. 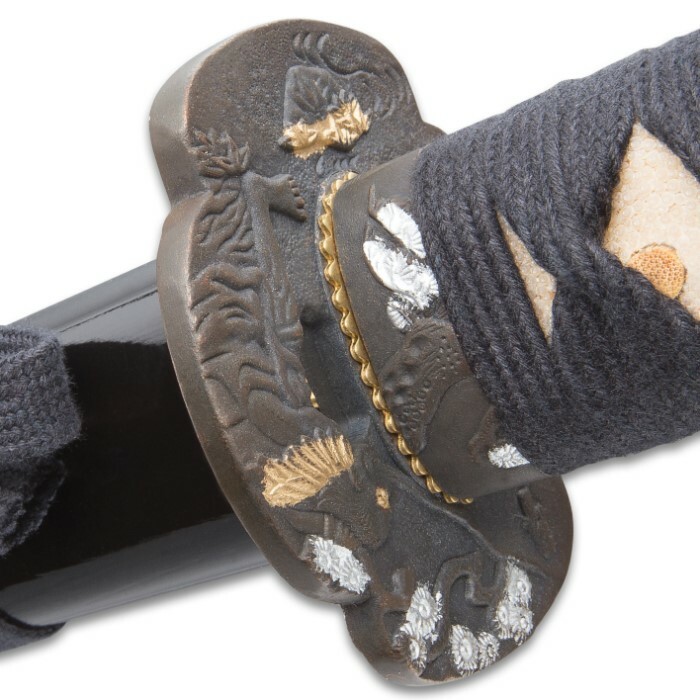 The black lacquered scabbard is hand painted with coordinating cord accents. 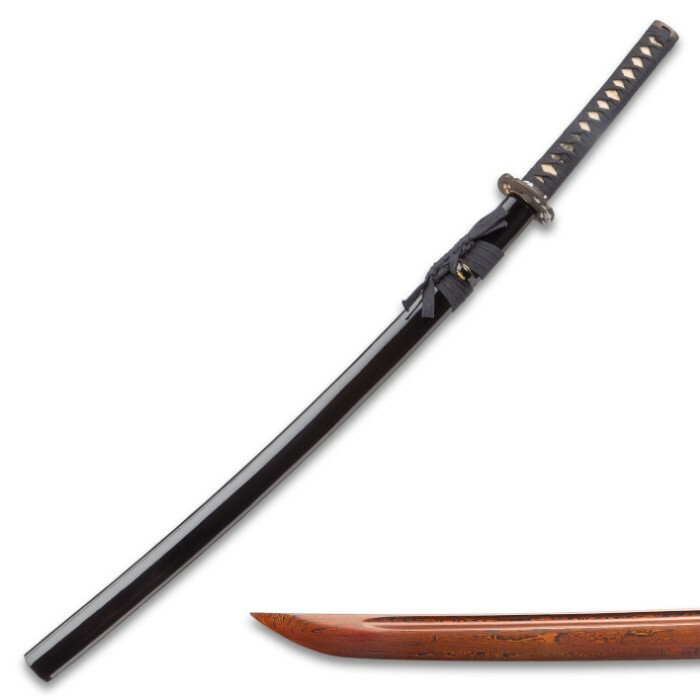 This sword should only use for display and not for backyard cutting. The edge is rolled over with only soft targets. Got it BOGO so give it 3 stars for that. 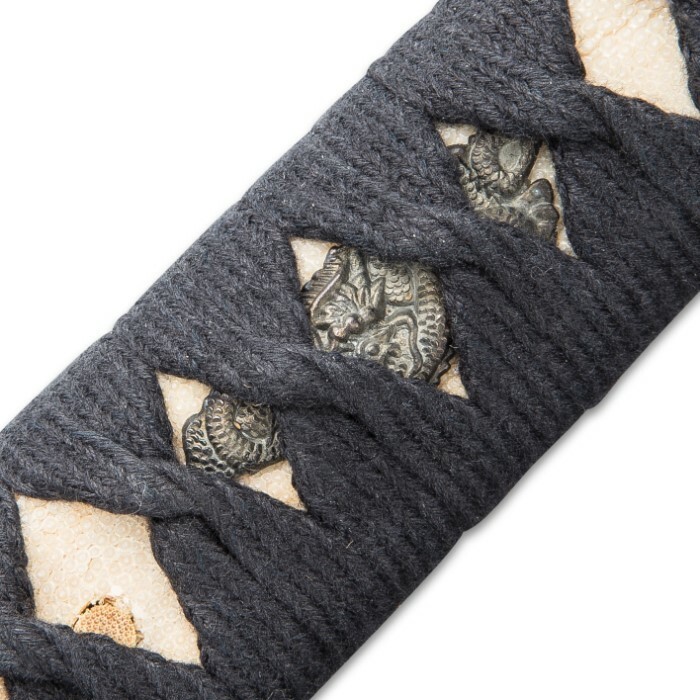 This piece is very attractive and well made. The red damascus is beautiful. 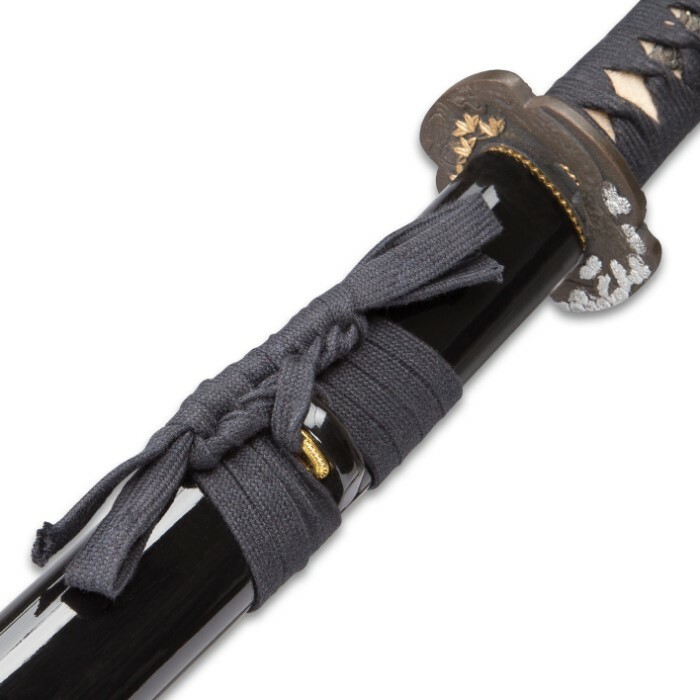 I will be buying more katana from BUDK in the future. Extremely happy with this! The pictures really do it no justice. The blade is beautiful and fairly sharp. All the parts are snug and there is no rattling or otherwise poor craftsmanship apparent. In the box, it was securely packed and wrapped in a soft cloth. Altogether I am very happy with my purchase.